September will soon be here so its time to prep the wood sheds for the winter. 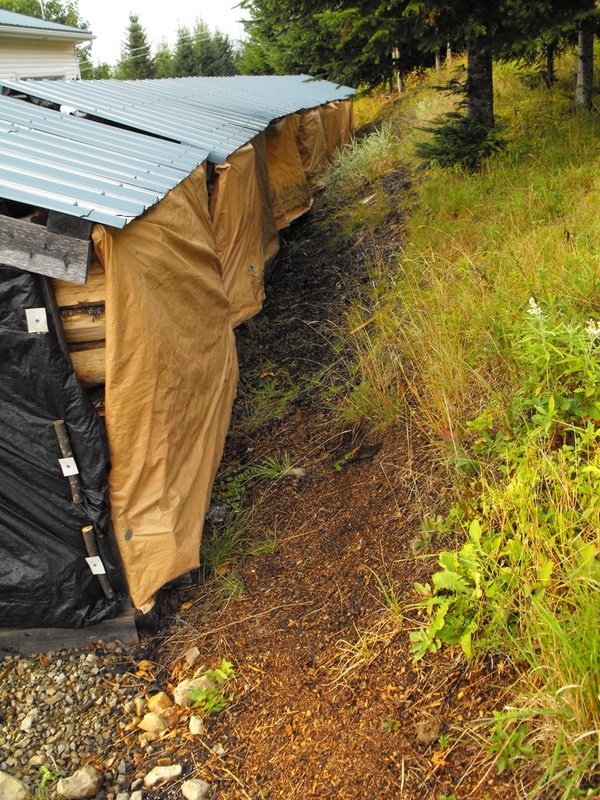 That means covering up the split firewood to keep the rains and snow off. Pictured here is the back of the bins. The fronts get covered as well. 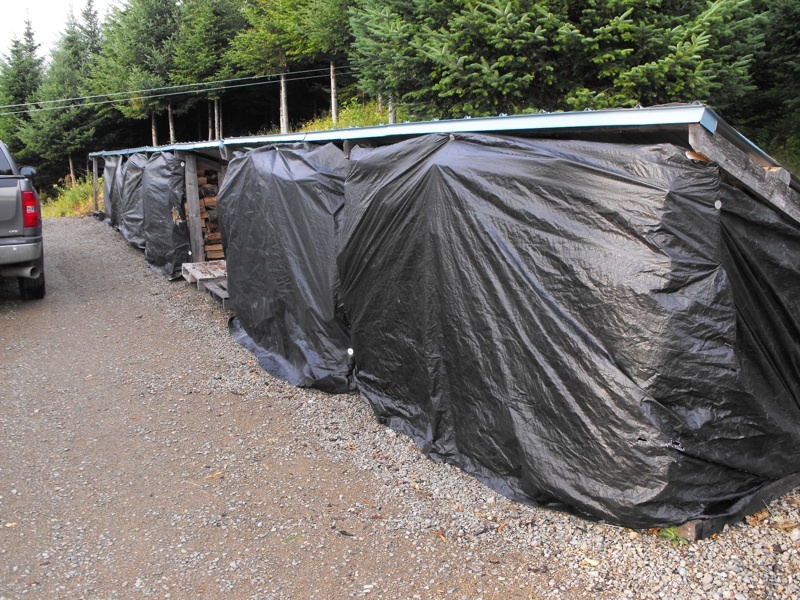 I recycle the tarps from the local lumber yard and turn the black side facing out. That way the sun’s heat gets absorbed, heating up the inside of the storage bin. It honestly acts like a kiln. As the cool fall mornings come along, when the sun rises each morning, you can see the steam rolling out of the top of the bins. And this little guy has been hanging around the firewood all summer. In the evening it likes to curl up on top of the wood pile to catch the last rays of the setting sun. I’ve seen bigger ones around. This little one is probably 1/2 diameter and 18 inches long or little more. It stayed right in place while I was right next to it covering up the pile. Once it was in the shade, it moved on. 2 cords left to do.